Published September 19, 2018, Los Angeles Daily Journal – There’s no shame in a bankruptcy filing. The ability to discharge accumulated debt is one of the fundamental underpinnings of America’s entrepreneurial system. While no one likes to lose out on repayment of a debt, the safety net provided by the U.S. Bankruptcy Code is what allows individuals to take risk, innovate and explore. Without it, the growth curve of our capitalistic society would suddenly flatten, as new ideas would be too risky to mine. Some of our country’s most notable businesses and statesmen were only able to reach their status through the use of the bankruptcy system. Before starting Disney, in 1923 Walt Disney filed bankruptcy with his first film company; Henry Ford put his first car company into a reorganization in the early 1900s, after it only produced 20 cars; and in 1875 H.J. Heinz filed bankruptcy when his first attempt at starting a condiments company failed to turn a profit. Even Abraham Lincoln was not immune from business failures, as his failed general store pushed him into bankruptcy in 1832. If market positions persist, Tesla will likely be the next notable figure to use the Bankruptcy Code to save its future — or at least it should be. Seldom has there been a company that has created such an enormous market presence with such a disastrous financial reality. At present, Tesla has a market cap of $45 billion, making it more valuable than the 115-year-old Ford Motor Company that is valued at $37 billion, and just behind General Motors which is worth $48 billion. The fact that Tesla, which produced 100,000 cars last year, can even be mentioned in the same sentence as Ford and GM is in itself a supernova of a miracle. GM, a company that produces 10 million cars per year, could misplace 100,000 cars and not realize it for six months. The disparity in production is just that large. But it is Tesla’s continual inability to turn a profit that should be worrisome to all. So, what is the face-the-brutal-facts reality? In 15 years of operation, Tesla has never managed to turn a profit — or get even close to it. In 2013, its best year, Tesla lost $74 million; last year, it lost $2 billion. In the first quarter of 2018, it lost $784 million; and in the second quarter, it lost another $520 million. In its lifetime, it has amassed a total of $6 billion in accumulated losses. Against this backdrop is its debt. As present, Tesla owes $9.4 billion in long-term debt, with required interest payments of $230 million in November and $920 million in March 2019. As of June 30, it had $2.2 billion of cash on hand, but at the present spend rate of $6,500 every minute, the company will burn through this like a young sailor on a weekend furlough. Moody’s says the company needs another $2 billion to make it to the end of the year. Elon Musk is banking on the newly minted Model 3 to salvage the company’s future. At a price point of $35,000, the Model 3 was expected to be the high-volume product that would surge the company into profitability. But so far, the Musk’s dreams of production lines humming along have been smashed by the anvil of supply chain reality. Musk had promised that by the end of last year the company would be churning out 5,000 Model 3s per week. The results, however, were far from it, with the company producing just 1,550 Model 3 vehicles in the entire fourth quarter. Musk reduced his 2018 Model 3 production target to 2,500 per week, this too was far off. In the first three months of the year, the company averaged just 750 units per week. Musk, who described the situation as “Dante’s Inferno,” blames the catastrophe on the failure of suppliers to timely deliver parts, and he is probably right. But managing supply chain deliveries is the essence of a manufacturing process. In large part, car manufacturers are assemblers of a myriad of parts produced by a patchwork of suppliers sprinkled throughout the world. A windshield wiper doesn’t show up, and an entire assembly line can be idled for weeks. Tesla has been living on a sustained stated of market euphoria, supported in large part because it is the only viable electric car company in existence. But at some point, adrenalized enthusiasm is not enough, and economic fundamentals settle in. As a reality check on the harshness that markets can deliver, Ford — which raked in $7.6 billion profit last year — was recently downgraded by Moody’s to a rating of Baa3, one notch above a junk bond rating. So, what should happen? Tesla has a brand that is worth a thousand golden doubloons and a raving fanbase that is only surpassed by lovers of Apple. It is the right idea at the right time, seizing an opportunity that was missed by so many. But, the realities of supply chain management are too severe for the company to handle. 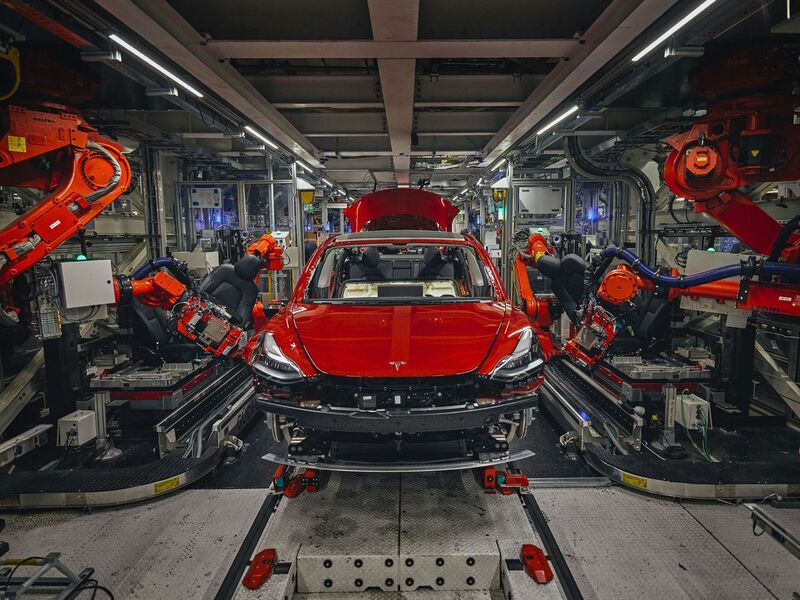 Producing 50,000 Model S vehicles per year one thing; trying to pump out 500,000 Model 3s is a whole new frontier. Tesla should file for Chapter 11 bankruptcy protection, disavow its heavy debt and emerge with a healthy balance sheet that can give the company a chance at success. In truth, the company needs a strategic partner who can fund its weighty infrastructure and who has large scale production knowledge. While a GM-owned Tesla would certainly take away much of the company’s specialness, it would allow the company to remain buoyant, and even give it a chance to flourish. Francis Ford Coppola managed to turn a $52 million estate into a sea of red ink, and Mike Tyson spent though a $400 million fortune, before they both filed for bankruptcy protection. Tesla’s spend was a little more severe, but the protections are there still the same. The company can still save the day — and keep the specialness it created — by swallowing its pride and using the Bankruptcy Code as it was intended to be used: To shed debt and allow innovation to succeed.